All the Rajini fans certainly have reason to cheer with Karbonn releasing a range of phones to celebrate the upcoming Kochadaiiyaan movie. 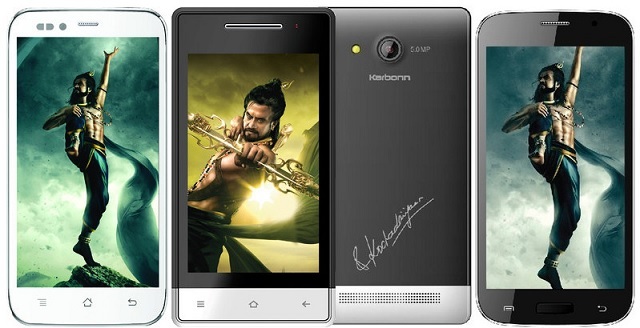 Karbonn, which is the official mobile phone partner for Rajinikanth’s Kochadaiiyaan movie has prepared a special range of feature phones and smartphones to commemorate the movie. The company is set to release as many as one million Kochadaiiyaan branded mobile phones. The phones in this line-up would feature screen savers and images from the film. Also the trailer and the signature tune of the movie are preloaded. The Karbonn Kochadaiiyaan range, which includes The Legend 2.4, 2.8 and K77 feature phones and The Legend A6 Plus, A36 and S5i smartphones, is now available for pre-order on popular online retail store FLipkart. The feature phones, Legend 2.4, 2.8 and K77, are priced at Rs. 1890, Rs. 1990 and Rs. 2599 respectively. Similarly the Legend A6 Plus and A36 smartphones are priced at Rs. 4990 and Rs. 6199 respectively.